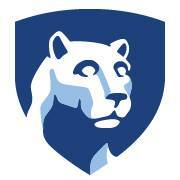 The Penn State shield should be used for all social media avatars. Below is a listing of appropriate images corresponding to a specific social media outlet. All Penn State social media accounts must use these marks as their profile pictures. Social networking sites allow people to share text, pictures, videos, and updates with their friends, colleagues, and organizations. If your unit wishes to include a social media experience to engage your audience, contact the Multimedia Specialist for assistance in developing a presence for your office. Penn State uses various forms of social media as a way to communicate with its many audiences. In order to accomplish this, Penn State and its campuses, colleges, and departments have official social media accounts, including but not limited to, Facebook, Twitter, Linked-In, blogs, etc. These accounts are only to be used for the purpose of communicating and promoting an individual college, campus or unit as well as the University at large, and are under the jurisdiction of the University. As such, they are subject to all applicable University policies. Misuse of official social media accounts by an employee, including posting racist, sexist or other discriminatory posts, can lead to disciplinary action. Employees may not use University accounts as their own personal accounts. Employees’ personal social media accounts may not give the appearance of officially representing the University or an individual college, campus or unit. Permission to use any Penn State logo or trademark on a personal or non-University account must be obtained from the Office of Licensing Programs. Further information on use of University services and equipment for personal social media accounts can be found in Policy FN14. The Office of the Vice President for Strategic Communications will monitor and assist in coordinating the use of social media by all University units. Guidelines for the use of social media are available that discuss best practices to use these forums effectively, protect the University’s reputation, enhance the University’s image, and help units and staff follow University policies.